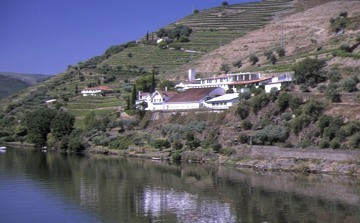 Accommodation at Quinta de La Rosa. 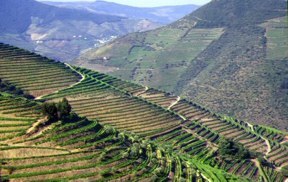 Quinta de La Rosa consists of 135 acres of A grade vineyards in the heart of the upper Douro, recently classified by UNESCO as a World Heritage Site. The property is owned by the Bergqvist family, formerly trading under the family name of Feuerheerd Bros, who have been shipping Port Wine since 1815. In 1988 Tim Bergqvist, and his daughter Sophia, decided to re-launch Quinta de La Rosa as an independent estate. They took advantage of the change in Port Wine regulations which enables producers to sell Port direct from their estates and not through the established houses based at Vila Nova de Gaia, near Oporto. Nowadays, all aspects of production are done on site: growing, harvesting, treading and vinifying followed by maturation, blending and bottling. There are two levels of accommodation in the main house and a total of 7 bedrooms, including 3 standard rooms (2 twins and double), 2 superior rooms (1 twin and 1 double) and 2 suites (1 twin and 1 double). All rooms have en-suite bathrooms or shower rooms and air conditioning, except the ground floor suite. In the suites there is a small sitting room adjacent to the bedroom which have a single bed suitable for a child. There is also a mini bar. The superior rooms and the suite on the top floor have air conditioning and balcony with river view. This suite has stairs to access the bathroom. Next to the main house, there are 3 duplex suites, all with double bed, and 4 superior rooms, 3 with double bed and 1 with twin beds. All rooms have ensuite bathrooms or shower rooms, air conditioning, wireless internet and view to the river. Each suite has an individual entrance. A communal sitting room and dining room with an outside terrace with spectacular views of the Douro valley is provided for all guests. A television is available in the sitting room. The swimming pool is situated on a nearby terrace. The village of Pinhao is 2 kms. from Quinta de la Rosa, 5 mins by car. It is the centre of the surrounding port district and has a supermarket, butcher, baker, greengrocer, chemist, bank, etc. There are a number of restaurants, bars and cafes but apart from the "festas" there is no night life. More extensive shopping is available in Vila Real (40 mins) and Alijo (30 mins) where there is a hypermarket. A car is advised although there are a number of local taxis available in Pinhao. The surrounding countryside is mountainous and is one of the most attractive and least spoilt areas of Europe. Information on other sites in the area is also provided, these include Roman remains, picturesque railway trips, castles, palaces, walks and picnic spots. From April to October there are daily guided tours including wine tasting. A picnic lunch can be provided with advance notice. Quinta de la Rosa also serves dinner with prior notice.